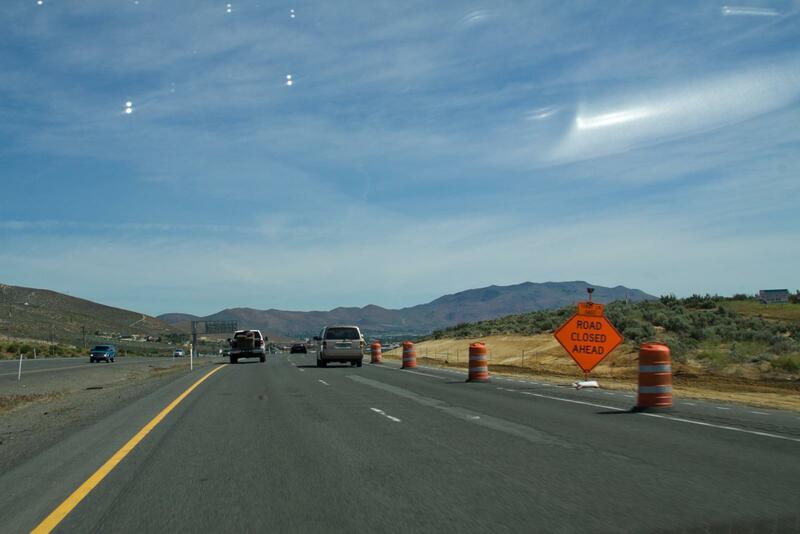 The widening progress on Hwy 395 is coming along nicely. 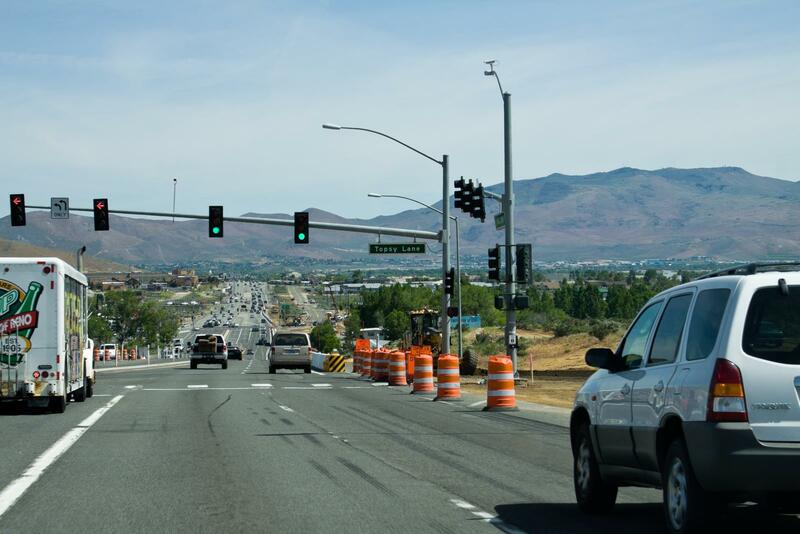 This project is adding a third lane on Hwy 395 at the south end of town, where the highway comes downhill into the Eagle Valley. 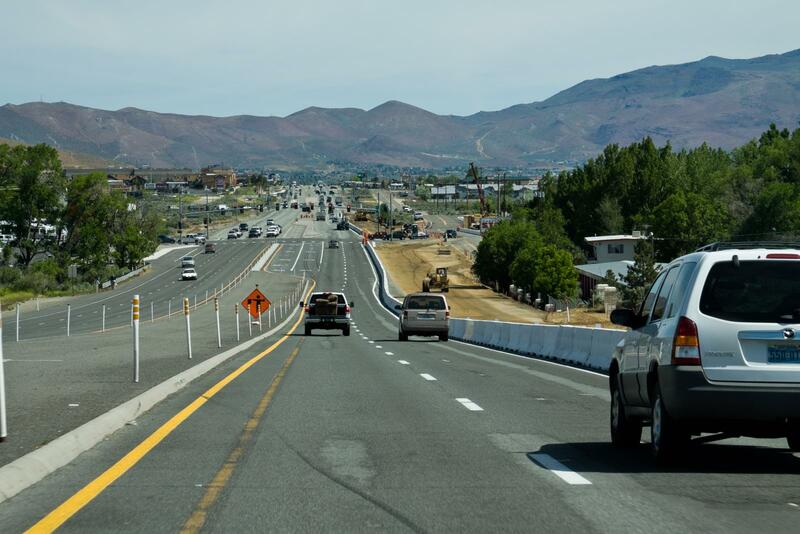 A few years ago they added a third lane on the uphill side, to support the extra traffic both traveling to the Carson Valley and just going to the WalMart and Target along the road there. But the downhill, northbound, side of the road stayed at two lanes. Now that third lane is being added, all the way from Jacks Valley Road down to just after Clear Creek where the highway had previously widened to three lanes. Construction is always a mess, but they’re doing a good job of keeping disruption to a minimum. The two existing lanes have been narrowed through the construction zone (making it horribly unsafe for bicycles, as pointed out on Muscle Powered) but not affecting car traffic all that much. Since all the work to add the extra lane is being done in the shoulder, there hasn’t been much in the way of additional lane closures. As far as road work goes, this is about as pain-free as it comes. Look for work to last all summer, though. Furrealz? That’s mavrleolusy good to know.